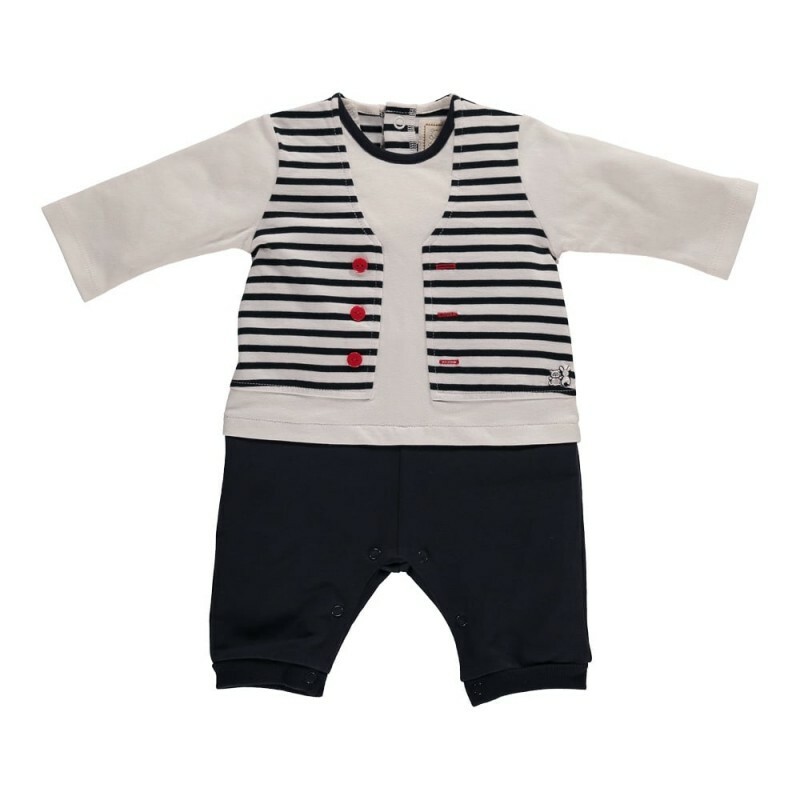 This trendy All in One looks like a 3 piece outfit with Navy trousers, white long-sleeved T shirt and striped waistcoat with red buttons. 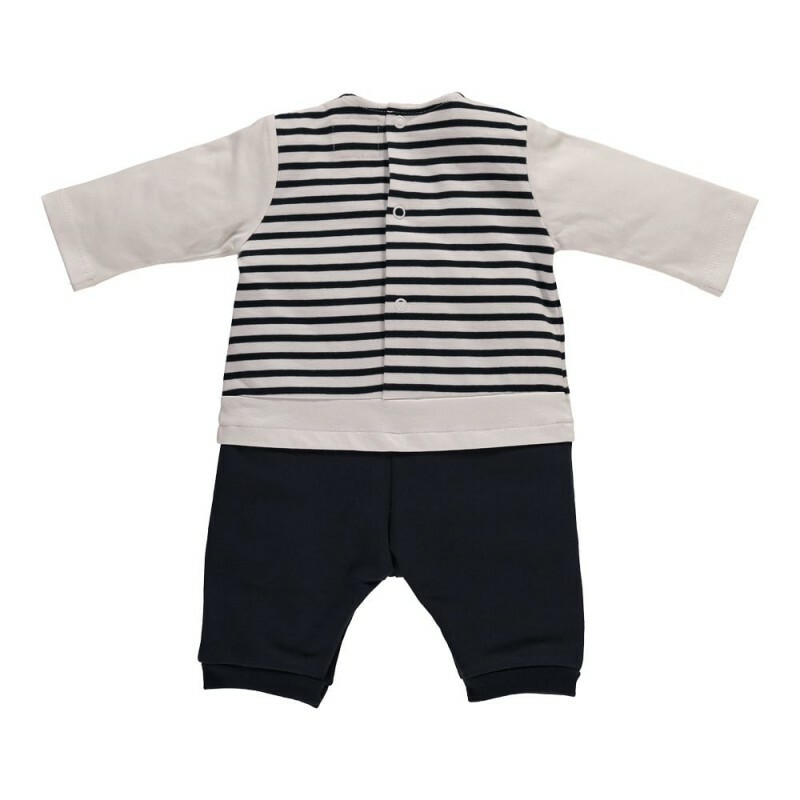 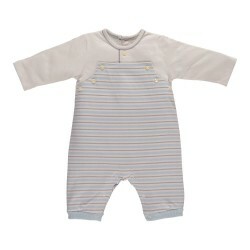 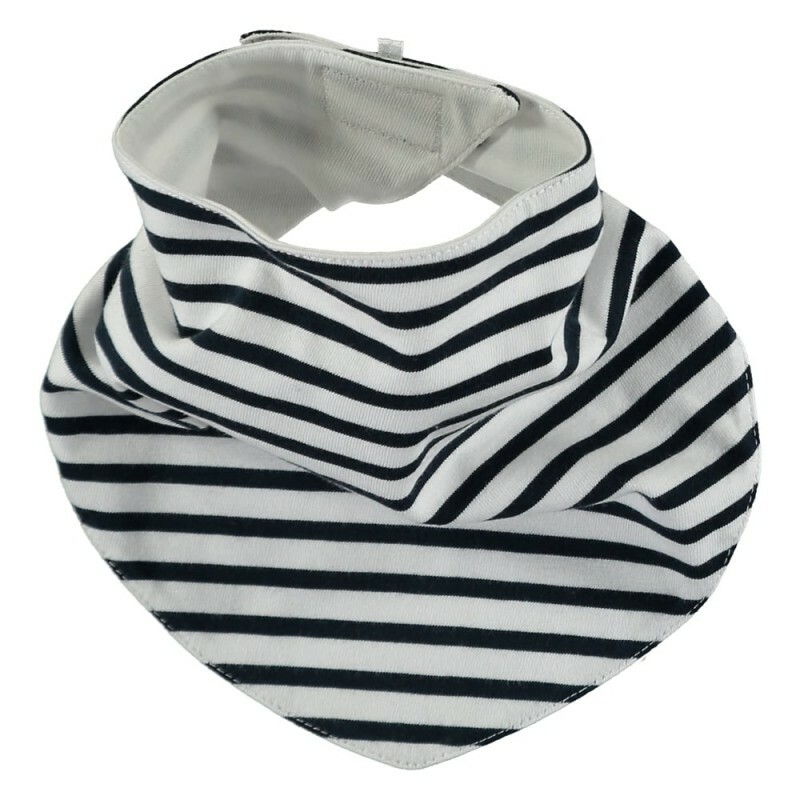 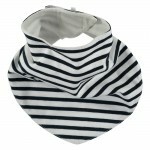 The garment comes with a matching navy and white striped dribble bib, secured at the back with a popper. 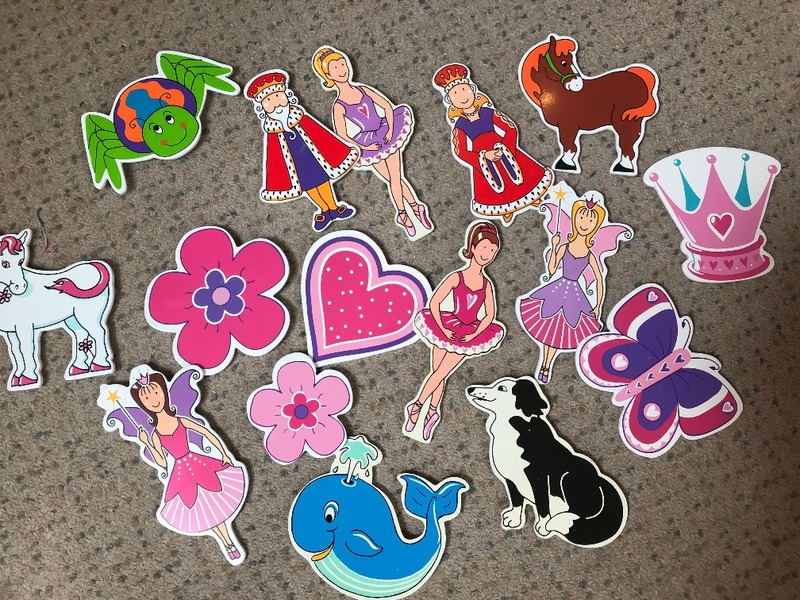 There is a full back opening and leg opening for easy changing. 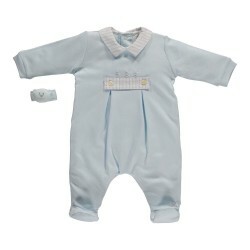 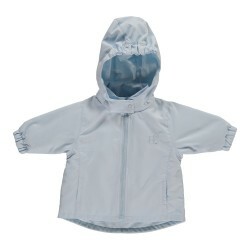 EMILE ET ROSE HARRYSmart and yet casual too, this is the easiest Baby Boy’s jacket to match up w..
Hamish Baby All in One Suit, White & Pale Blue StripeThis is a great All in One for a new ba..
Hayden Baby All in One with Feet & Wrist Rattle, Pale BlueNew in - Emile Et Rose SS16&nb..